1. 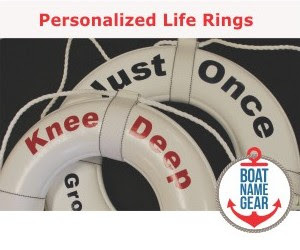 Put Your Life Jackets On – Right away, direct everyone to don their life jackets. 3. Stop the Leak – If water is coming through a hole in the hull, try to stop it. Jam towels, cushions, extra life-jackets – anything – into the hole. Brace the plug with a shoulder only if you have to (you want to avoid having anybody below when the boat sinks…). Use a spar, oar, bimini cover pole, boarding ladder – anything – to jam your plug(s) into that hole. You won’t stop the water but you will likely slow it. You may have to slow down to contain the water pressure on your plug so you are doing a trade-off here – less water but more time to shore. Start with less water and evaluate who is winning – you or the sea. An old sail boater’s trick is to jam a sail into the hole from the outside. Let the sea pressure work for you. Not a lot of power boaters carry sails on their Bayliner – but it may give you an idea. 6. 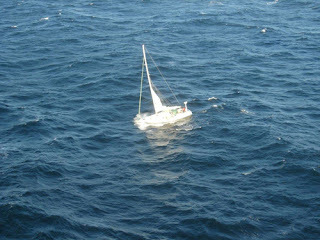 Create a Ditch Bag – If the situation continues to deteriorate, say your prayers but don’t leave the boat until it sinks out from under you. But have a “ditch bag” ready – cell phone, handheld radio, fresh water, dry clothes, medical kit, flash light, flares, etc – come immediately to mind. It is always good to have a ditch bag ready whenever you go “outside”. Good point - we could do an entire article on a ditch bag. My guess is most people don't have one. 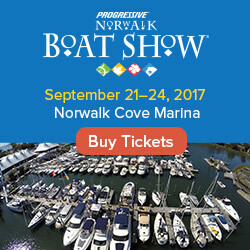 Do You Have a Website for Your Boat Yet?